Obituary for Muriel M. (Maxwell) Lufkin | McClellan-Gariepy Funeral Home, Inc.
Buskirk-Muriel M. Lufkin, 88, passed away the afternoon of Tuesday, March 12, 2019 at the Center for Nursing and Rehabilitation, Hoosick Falls, NY; her daughter Cathy was at her side. Muriel’s strength and wisdom will be deeply missed by her extended family. Muriel, born in Cambridge, NY at Mary McClellan Hospital on March 19, 1930, was the daughter of the late Marian E. (Rich) and Lesley C. Maxwell of Coila. Muriel attended Coila District No. 2 School and was a 1946 graduate of Cambridge High School; an excellent student, she graduated at the age of 16. Muriel earned her bachelor’s degree in Accounting and her master’s degree in Taxation from Golden Gate University. She was granted enrollment to practice before the IRS by the Department of Treasury. Muriel married Raymond W. Lufkin in 1949, starting their life together in the Town of Jackson. Ray’s career took them to Albany, Oregon, and then to Gonzales, California. After his retirement, they moved back to Coila in 1984. Muriel was an excellent seamstress, home decorator, gardener, and all-round domestic engineer. She always used her skills and determination to create a lovely home for her family, to support their interests, to instill strong values and a love of learning. On the farm in Jackson, she maintained large gardens, preserved the harvest of the gardens and beehives for the family table, and created wonderful holiday memories. 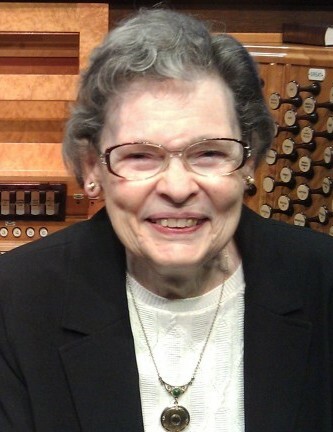 Muriel loved music; she played the accordion, piano, and organ. She was an active church member wherever they lived, serving as Sunday School teacher, pianist, treasurer, trustee, and deacon. She grew up a member of Coila Presbyterian Church. In recent years she was a member of the Shushan Presbyterian Church where her mother Marian Rich, as well as her Aunt Mabel Rich and Uncle Harold Rich had grown up. Over her lifetime, Muriel worked as a telephone switchboard operator, bookkeeper, income tax preparer, and income tax instructor. In New York, she taught classes at Adirondack Community College and through Empire State College center for Distance Learning. Muriel was owner/proprietor of tax practices in California and New York. She was a member of National Association of Enrolled Agents, New York State Society of Enrolled Agents, California Society of Enrolled Agents, and National Association of Tax Professionals. The last of her generation in the Lufkin-Maxwell families, Muriel was predeceased by her husband Raymond, brother Horace R. Maxwell, granddaughter Jacklyn Rae Welch, in-laws Lester and Mary “Busy" Lufkin, Rev. W. Ralph and Frances Lufkin, Roland and Dorothy Lufkin, Anna Maxwell, and Josephine Maxwell, nephews Carl Lufkin (Sandra) and Harold Lufkin (Carol), and nieces Beverly Lufkin Halsdorf (William) and Ruth Elizabeth Lufkin Tate. Muriel is survived by her daughters, Cathy Lufkin-Welch (David) of Buskirk, Joan L. Sveinsson (Johannes) of Frisco, Texas, and Camille A. Lufkin of Truth or Consequences, New Mexico, granddaughter Emily Elizabeth Welch of Buskirk, step-granddaughter Jeanna V. Kuhns (Louis) of Van Alstyne, Texas, nieces Ruby Lufkin Komarony (Daniel) of Argyle, Linda Lufkin Taylor (Tim) of East Greenwich, Patricia Maxwell of Bellevue, Washington, Jean F. Lufkin of Argyle, and Martha Maxwell Davis of Greenwich, nephews David W. Lufkin (Cecelia ) of Argyle, James L. Maxwell of Cambridge, and David A. Lufkin (Lori) of Knoxville, Tennessee, as well as many much-loved great-nieces and nephews, and step-great grandchildren. A celebration of Muriel’s life will be held on Saturday, March 30, 2019 at 11 a.m. at Coila Church, 93 State Route 372, Cambridge NY, followed by a luncheon in the Church’s Arnott Chapel. A graveside service will be held at 10:00 am Saturday, April 6, 2019 at Woodlands Cemetery in Cambridge. In lieu of flowers, if you would like to remember Muriel in a special way, the family suggests a donation to Shushan United Presbyterian Church, 730 County Rd 64, Shushan, NY 12873, or to Coila Church, 93 State Route 372, Cambridge NY 12816, or to National Consumer Voice for Quality Long-Term Care, 1001 Connecticut Avenue, NW, Suite 632, Washington, DC 20036 (https://theconsumervoice.org).